From business meetings to holiday parties, family celebrations to rehearsal dinners, we are excited about making your event a memorable one. Whatever the occasion, our professional staff will make your private dining experience effortless and enjoyable. We offer two private dining rooms to host your event. "Uptown" accommodates up to 50 guests, accesses our main bar area and boasts a candlelit fireplace and large window. "Downtown" has seating capacity for 30 guests and offers more privacy because it is less accessible to our other dining areas. Both rooms can accommodate audiovisual presentations as well as wireless internet. Buckhead’s has been a Richmond tradition since 1994. Featuring succulent Braveheart Beef and only the freshest seafood, you can taste our passion for culinary excellence. Consistently recognized with Wine Spectator’s “Best of Award of Excellence”, our list offers over 700 labels to complement your dining experience. Additionally, our bar proudly highlights one of the largest selections of single malt scotches and small batch bourbons in Richmond, Virginia. Best place to go for a steak in Richmond- staff is excellent, food is great and it's a nice quiet atmosphere. Don't go often, but it is the best place in Richmond for a steak. Great apps, soups, sides and desserts. Often asked "Isn't it expensive?" Good value for the money. Wait staff attentive without being intrusive. Never had a bad experience. Buckheads was incredible as always.It is our go to spot for every special occasion !! Over all enjoyed our experience. Service outstanding. Food was good but over priced. Had been awhile since last at the establishment. Came for my wife's birthday. The food was fantastic and the waiter Sean, was impeccable. Nice atmosphere with music. For the type and portions of food the pricing was very reasonable. The restaurant offered a dessert to my wife for her birthday. We will be back soon. My husband and I were celebrating our wedding anniversary. I ordered the 11oz filet mignon, he ordered the crab cakes. The bearnaise sauce was delicious. My only concern was I was expecting the meat to be very tender. It tasted delicious but was more like a sirloin. My husband's dinner was delicious. My chocolate martini was close to the best I've ever had. Our waiter was terrific. We even received a complimentary dessert that was decedent. 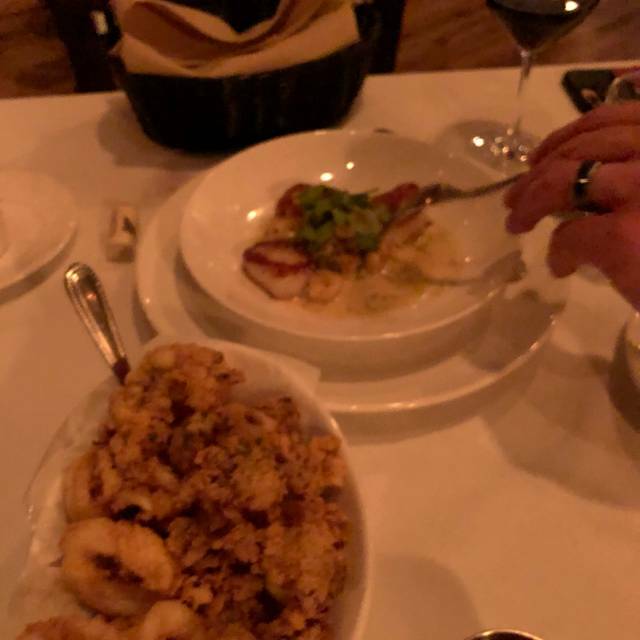 Great atmosphere; nice ambiance; wait staff very attentive; steaks were excellent; fish was very good but not spicy or seasoned but the potatoes with it brought out the flavor more. A little pricey but it is not a la carte so that helped with the value. Had a 4-man business meal trying to resolve a contentious issue. Ended up being a 5hr dinner. The food and wine were top notch and service was only fair up to then. Couldn’t figure out how to handle two different bottles of wine ordered at the same time. Once dessert was done, waiter continued to walk through the dining room looking at his watch and shaking his head with a heavy sigh. Sorry we didn’t turn the table over fast enough for you. Although Buckheads is known for its steaks, I opted for the evening's special, which was halibut. It was perfectly prepared and absolutely delicious. 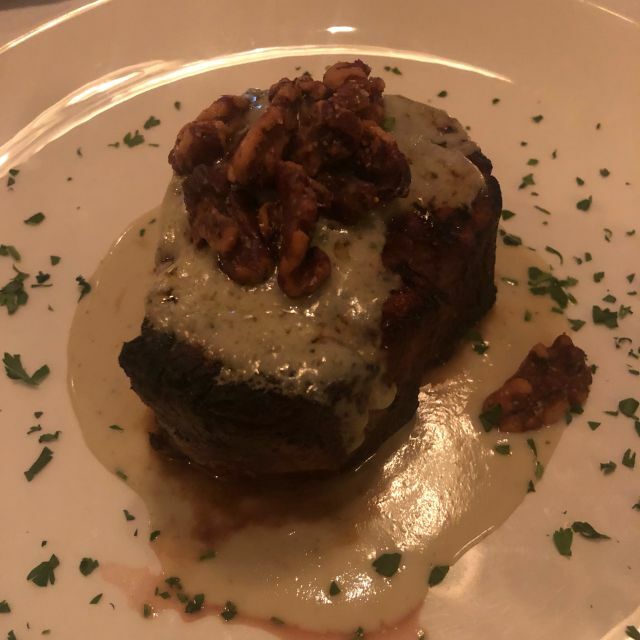 My wife had the filet, and it was exquisite,as always. A California temperanillo caught our eye on the wine list, and it was a delicious find. We appreciated the complimentary dessert, provided because it was our anniversary, and exceptional service provided by Charlie. I can't think of a better venue to celebrate a special occasion, or just to enjoy any time at all. Great food and menu selections of beef and seafood. Definitely will go back. Excellent steak and seafood. Pretty ambience. Good service. Great value. 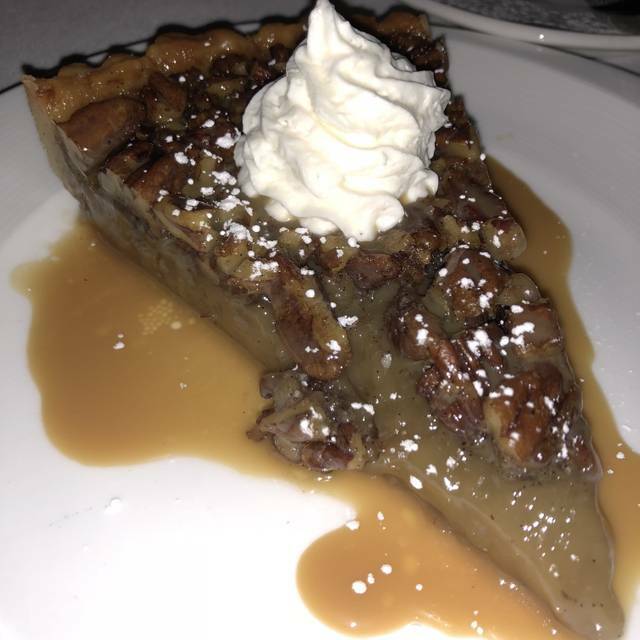 It is always a pleasure to dine at Buckheads! 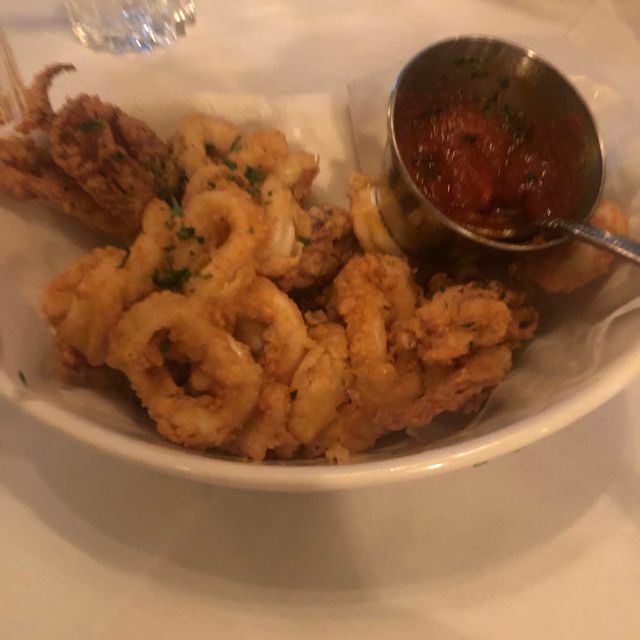 Nice atmosphere, excellent service, and the food is always delicious!!! The food was excellent. 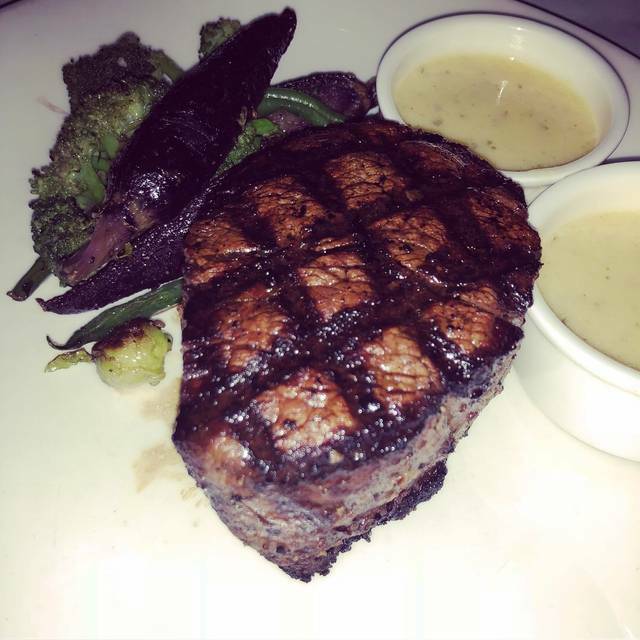 The best steaks Richmond has to offer. Very nice atmosphere and food. We will definitely return several more times!!! Drinks, apps, and steaks were all phenomenal. 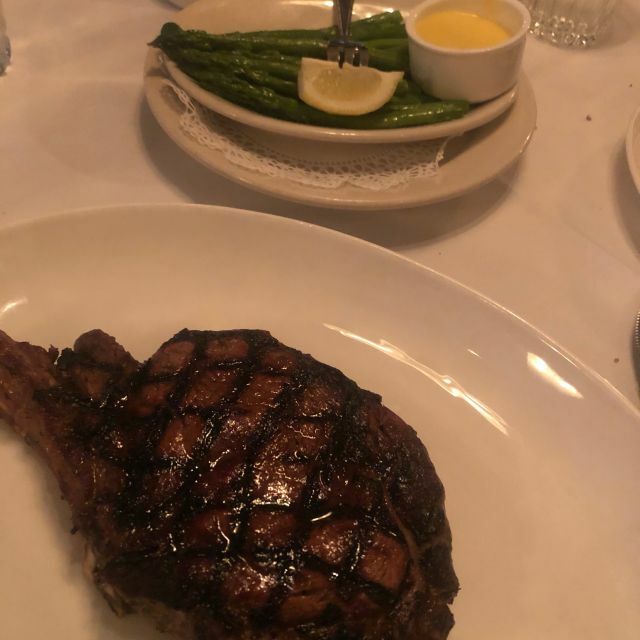 Definitely one of the best steaks in Richmond, and cheaper then some of the more well known places but still plan to put down some money when you go here. I will definitely be returning I'm there future. Buckheads is awesome! The Cowboy Ribeye, Truffle Fries, and Key Lime Pie are to die for...will be back for more!!! Ambiance was great until 3 late 5’s goons decided it was time to get loud and drop “f” bombs without any concern for those around them. Neanderthals. Need special seating for them like outside! Love this Place My husband will not eat a steak anywhere else. The most delicious meal - EVER! From the shrimp cocktail to the Godiva chocolate cake everything was amazing. The croutons and dressing on the Caesar salad were made in-house and full of flavor. The requested anchovies on top were fresh and tender. Our entrees (filet mignon and the steak fromage) were to die for! Cooked to perfection and juicy! The mixed vegetables and baked potato seasoned well and balanced out the meal. The Godiva cake was a little teeny bit dry, but who's complaining - the restaurant nailed everything! Buckhead's had an extensive wine selection and the suggested Cabernet Sauvignon paired well with our entire meal. We can't wait to go back! Cheers! A bit disappointed after our first visit a year ago. Went for a birthday celebration because my husband had raved about it ever since the first time. Were put at a 2-top in between to other 2-top tables and and you feel like there's no privacy - you hear their conversations and visa-versa. Fine dining is supposed to be great service but not slow to the point that you feel like it's taking way too long to get your first item. He said his rib-eye was grizzly and evident by the pile of it he left on the plate. 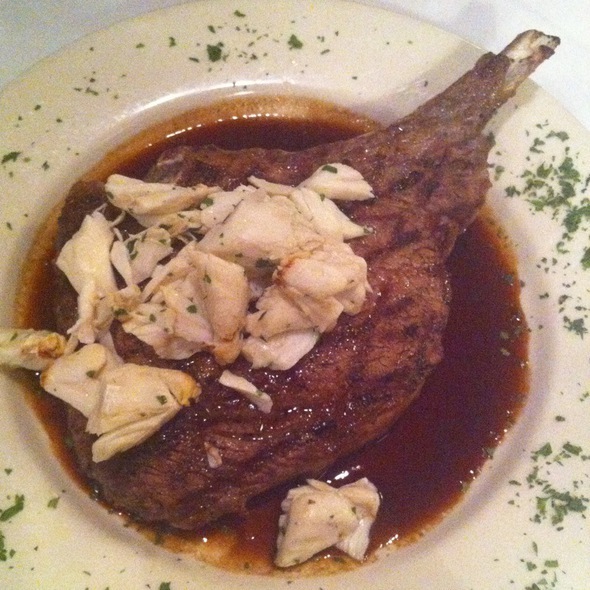 My steak and crab was supposed to be lump crab and it was not, disappointed in that. It won't be our go-to anymore for special celebrations. Thoroughly enjoyed everything. Excellent food. Very good service. It’s all true! 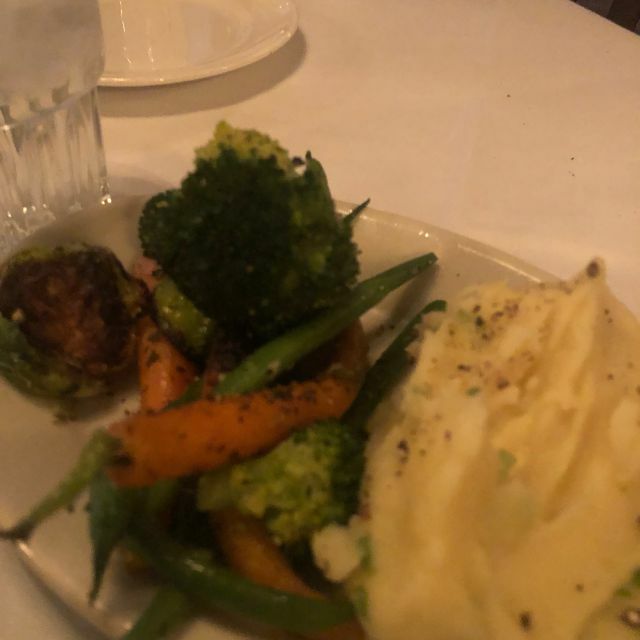 Perfectly prepared filets along with mouth watering potato du jour (sage and whole grain mustard mashed potatoes) and assorted sautéed vegetables met and exceeded our expectations. The jumbo lump crab was truly jumbo, and the bernaise sauce was yummy. Rick provided excellent and perfectly timed service. He greeted us with a Happy Anniversary, and sent us on our way with a sweet dessert to celebrate complements of Buckhead. Nice touch! Daughters birthday dinner, great food we had a great time, relaxing and no rush atmosphere, service timing was great with each course. Steve was a great waiter. Food, as usual excellent. Had not been to Buckheads's in a long time. Will be back in the next couple of months. Excellent meal and incredible service. Excellent for any special occasion or just when your inner carnivore needs quality beef. All four of us were delighted by the awesome steaks and the very friendly service. We had absolutely no complaints. You can’t cook steaks like this at home. The best steak I have had in a very long time. Everything was awesome! This is a great date night place. The servers in the dining room are excellent! They are unobtrusive while also appearing at the table right before you need them. The timing of the dinner is perfect. The scallop appetizer was so yummy. Our steaks were seasoned and cooked exactly as we ordered them. I would’ve given the service 5 stars; however the bar staff was overworked so we were not impressed with the drink service. Someone’s appetizers sat on the bar for about 10 minutes before they were served and before someone asked us for a drink order. 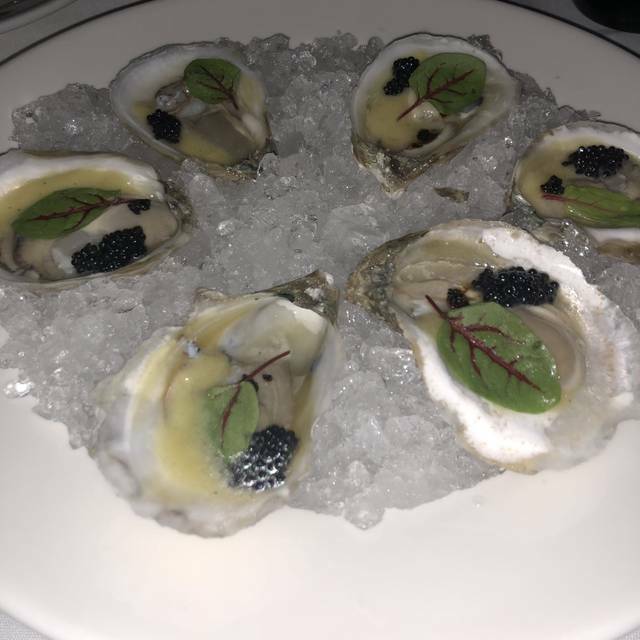 Overall Buckheads is a place to treat yourself, to enjoy being pampered in the dining room and to be sure that you will be served a fabulous meal. Every single moment of this night exceeded expectations. From the service to the food. I can’t wait to go back and highly recommend this restaurant. Had my first Brussel sprout and it was incredible. That says it all. Went for our anniversary with friends and it was great. Our waiter, Greg, did a great job and the food was awesome. We will definitely go back again.